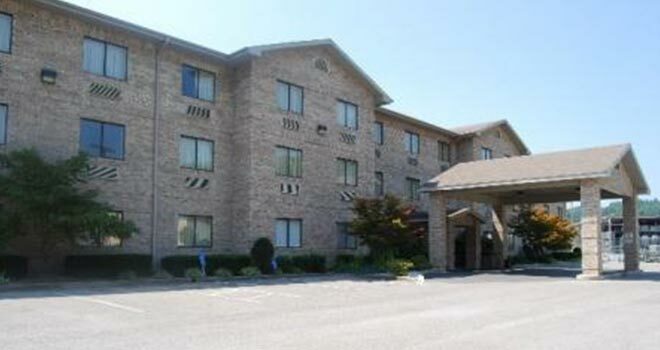 The Brookshire Inn is located in the scenic hills of Eastern Kentucky. Our great location provides easy access to shopping, restaurants, and entertainment. We offer clean comfortable rooms at a reasonable price. If you love nature, hiking, fishing, whitewater rafting, or golf, you will love the accessibility of the Brookshire Inn to two state parks, numerous golf courses and the great outdoors. At the end of the day, join us at the Brookshire Inn, and let our friendly staff make you right at home. Join us for a free continental breakfast from 6 a.m. to 10 a.m. Children under 18 stay free with parent in the room. No pets please. Property has guest laundry, all interior rooms with electronic locks, vending areas, elevator and 24 hour desk service, CableTV, free local calls, free hi-speed internet service, meeting room, fax and copy service and free parking.